The commission for assessment of election needs of the Organization for Security and Cooperation in Europe (OSCE) has applauded the election organizational procedures in Lithuania, yet it said that campaign financing rules were too strict. The experts also made remarks in connection to regulation of media campaigns and informed that the Electoral Action of Poles in Lithuania complained of discrimination and revision of polling district boundaries. After visiting Lithuania in the end of June and a series of meetings with representatives of the Central Electoral Commission and other institutions and parties, the OSCE experts suggested delegating an additional team of experts shortly before the election, as it might be useful to "further observe campaign financing rules, legal regulation of media campaigns, and situation of national minorities." Zenonas Vaigauskas, chairman of the central electoral body, said that Lithuania has not had observers in its elections since 1996. He also noted that the report reflected the situation of the Electoral Action of Poles in Lithuania from the party's point of view. "The Electoral Action of Poles in Lithuania was the only party to have complaints, and these complaints are reflected in the report," Vaigauskas added. The party was outraged by the electoral body's decision to merge part of the Širvintos-Vilnius electoral district (Sužionys and Skirlėnai) to the Molėtai-Švenčionys district, thus allegedly taking away part of the party's electorate. 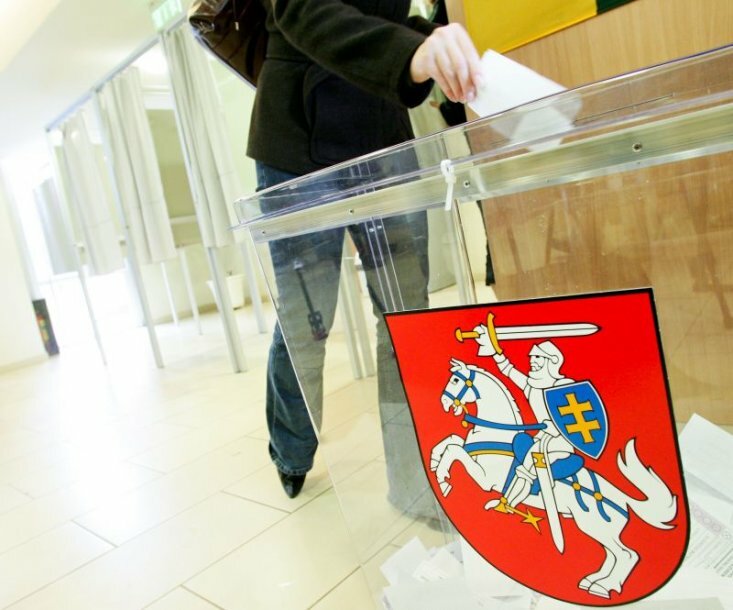 The Electoral Action of Poles in Lithuania also seeks scrapping a district in Kaunas and establishing a new district in Vilnius, since all districts in Vilnius have over 40,000 voters, while there are just over 30,000 in all Kaunas districts save two. Following the minor changes to the boundaries of election districts in July, the Central Electoral Commission said the party-proposed changes should be discussed after the 14 October elections. According to the Law on General Elections, Lithuania's territory is to be divided into 71 single-mandate districts, factoring in the size of the electorate in the district, divisions during earlier elections, and the country's administrative divisions. In Vaigauskas' words, the boundaries of single-mandate districts were set back in 1992, when the average number of voters was similar in all of them. However, dramatic demographic changes have occurred over the past two decades – constituency sizes now range from over 51,000 voters to 30,000 voters per seat.